For Koreans, alcoholic beverages are a lifelong companion in times of joy and sorrow. Korean people have enjoyed making their own liquor from healthy ingredients since ancient times. Traditional liquor is often called Yak-ju, literally meaning “medicinal alcohol,” as light to moderate alcohol use is believed to have health benefits and is offered from one person to another as a way to cherish friendships. Now, let’s talk about those fantastic Korean Spirits and Wines in the modern times! 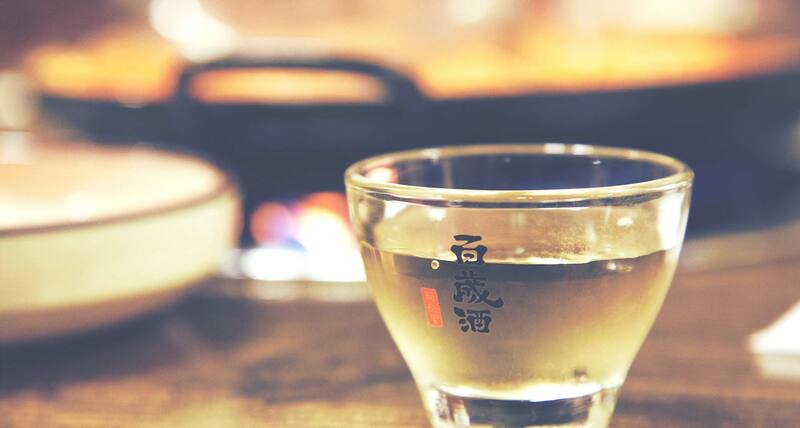 Of all of Korea’s traditional alcoholic beverages, Makgeolli has the longest history. It is made by mixing steamed glutinous rice or wheat with fermentation starter culture, and water, and then leaving the mixture to ferment. It has a milky, opaque colour and a low alcohol content of 6%-13%. It is relatively low in calories and high in proteins. It also contains high levels of yeast and lactobacillus. The method for making Cheong-ju is similar to Makgeolli; Cheong-ju is the clear liquor remaining after straining Makgeolli. Cheong-ju has been widely used in a variety of traditional rituals and rites of passage, as it is regarded as a sincere and well-prepared alcohol. Soju is the most popular liquor in Korea. The best known brands are Cham–isul and Chum–churum, which are all available at SURA Korean restaurants. While all have the same soju base, there are a couple of famous Korean local soju. Andong Soju is a traditional distilled liquor, aged for a long period of time for a deeper flavour. The distilling process has been handed down for years in the city of Andong. The alcohol content of Andong Soju is relatively high at 45 percent. However, this excellent soju is also available with an alcohol content of 20-35 percent for those who do not enjoy the heavy alcohol content. Leegangju is one of the finest liquors from the city of Jeonju, made by mixing in pears and ginger. Gwa-sil-ju is the generic Korean term for fruit-based liquor. The method of making Gwa-sil-ju can be divided into two categories; one is made from naturally fermented fruits and the other by mixing fruits and sugars with alcohol, making for a more fragrant, fruity flavour. Bok-bun-ja (Korean Black Raspberry Wine), and Mae-sil-ju (Seol Joong Mae) are the most common Gwa-sil-ju found in South Korea. You can enjoy these drinks and have great times with your buddies or family members, but always remember that drink responsibly!